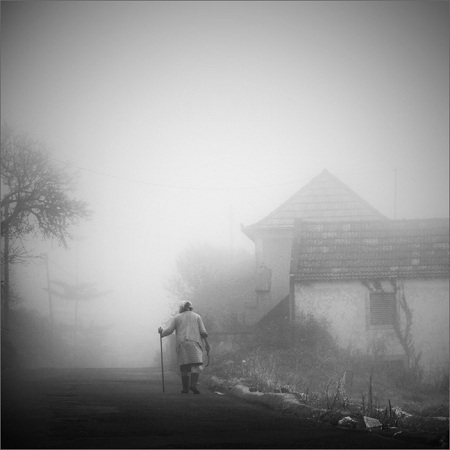 ... made it to the sixth place at c't Digitale Fotografie's competition 'Coming home'. The image will be printed in the February/March issue of the c't Digitale Fotografie magazine. Please click on the image below to access the official announcement. 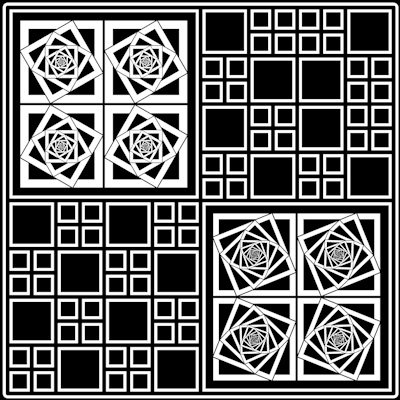 Today I opened a gallery of fractal images on Instagram. If you like to view my fractal art images, please click on the image below. Nice start into this week: c't Digitale Fotografie uses my image "DarkDreams" as lead image for their "Images of the week (week 48)" (Bilder der Woche (KW 48) slideshow. Thanks very much to the editorial team of c't Digitale Fotografie! Click on the following link to view my image in big size together with a brief story / description in German language. CLICK HERE to access the article. KPK's image PurpleDream III was selected as one of the images of the week for week 38. 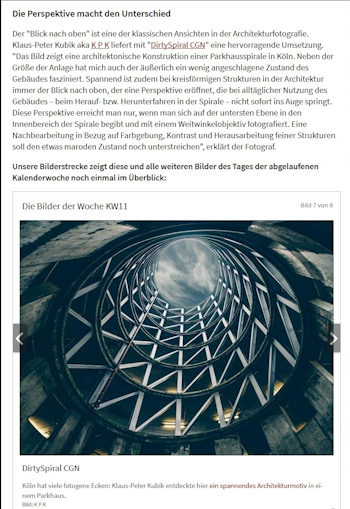 A related article (in German language) with a brief story of the image can be accessed by clicking on the following link c't Fotografie or the image below. Today KPK reached 5,000,000 (five million) image views on his 500px portfolio. That's a great figure, isn't it? Thanks to all the nearly 80,000 people who follow my work at 500px, thanks to all the visitors, and of course thanks also to the 500px team for their support. Click HERE to access my 500px account. KPK's image LeicaStairs I was selected as one of the images of the week for week 29. A related article (in German language) with a brief story of the image can be accessed by clicking on the following link c't Fotografie or the image below. 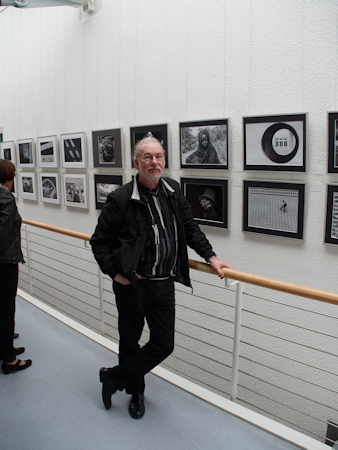 A photographers meet-up, organized by KPK, took place from April 13th to April 15th in Berlin. 18 photographers from 6 European countries, including Norway, Belgium, Switzerland, The Netherlands, Romania, and Germany joined the meeting. Common photo tours and dinners enjoyed the participants. The group visited architecture locations as well as street photography was done. It was a pleasing and successful meet-up. Thanks to all participants and the co-tour guides for their support! 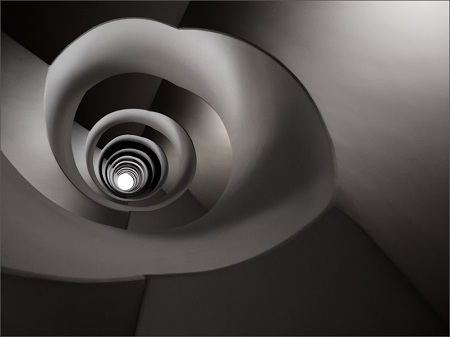 KPK's image DirtySpiral CGN was selected as one of the images of the week for week 11. 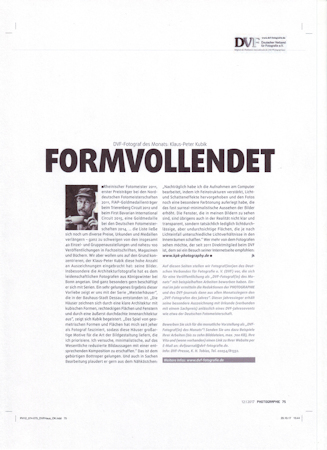 A related article (in German language) with a brief story of the image can be accessed by clicking on the following link c't Fotografie or the image below. My image "BerlinPower" (see below) will be shown in big size in a group exhibition in Düsseldorf (Library Benrath) until February 2018. Click HERE for the address. 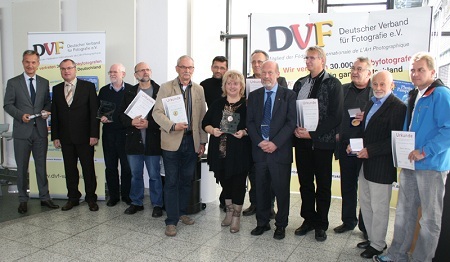 KPK was selected as DVF photographer of the month. A related article (in German language) and three example images are printed in the latest issue of the PHOTOGRAPHIE magazine. Click on the first image below to read the article. Thanks to PHOTOGRAPHIE magazine for the permission to display the article pages. 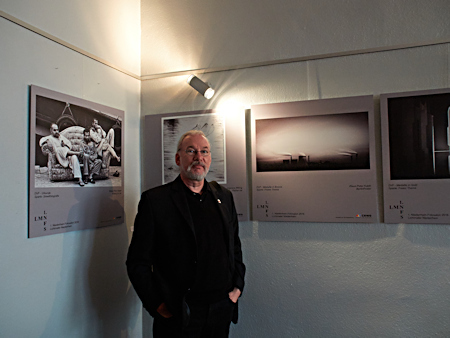 KPK beside his images at 2017 Emscherbruchpokal award ceremony and exhibition vernissage. 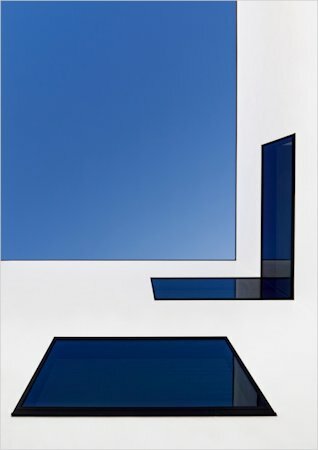 My image "InfiniteEnlightment II" reached the 2nd place in ArtLimited's "Geometric Shapes" competition. Click HERE for the official announcement. Today KPK reached 4,000,000 (four million) image views on his 500px portfolio of which 1,000,000 were added during the last four months. Again I'm puzzled and most impressed about that figure. Thanks to all the nearly 80,000 people who follow my work at 500px, thanks to all the visitors, and of course thanks also to the 500px team for their support. Click HERE to access my 500px account. 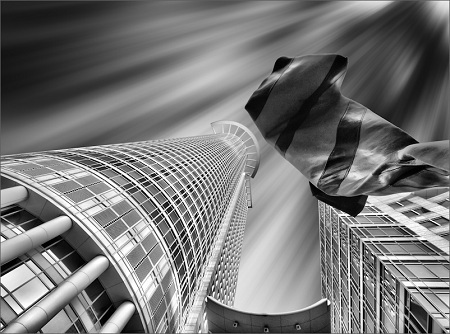 My image "BerlinPower" (see below) will be shown in big size in a group exhibition in Düsseldorf during May 2017. Click HERE for the official announcement. The images below show KPK at the award ceremony in Mönchengladbach on November 20th and beside his awarded image in the exhibition at the BIS Centre for open cultural work. Click HERE to access the official news of the event. 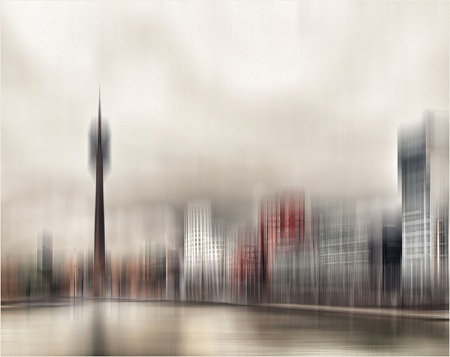 Today I received the message that my image "BerlinPower" (see below) will be awarded with a Bronze Medal. 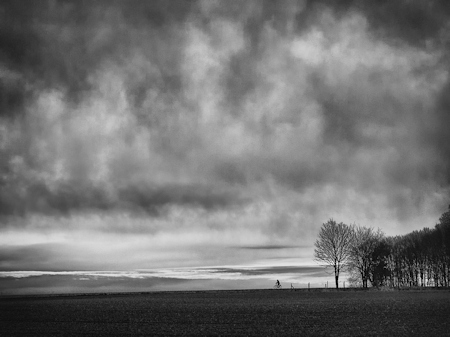 The image was submitted to the black&white competition "1st Niederrhein Fotosalon 2016"
Last night KPK broke through the 2,000,000 (two million) image views border on his 500px portfolio. I'm puzzled and impressed about that figure. Thanks to all who follow my work, thanks to all the visitors, thanks to all of you who like my work, and of course thanks also to the 500px team for their support. Click HERE to access my 500px account. 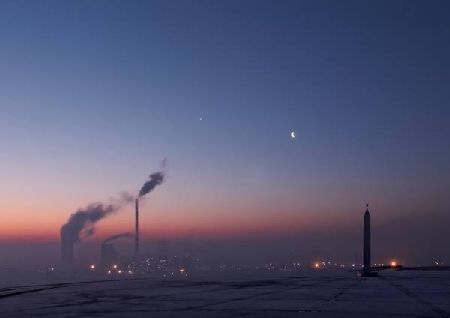 I'm glad to announce that my image "IndustrialMorning" (see below) will be presented in November at the "Wissenschaftspark Gelsenkirchen" (Science Park Gelsenkirchen) as part of the "Instaworldruhr" project. 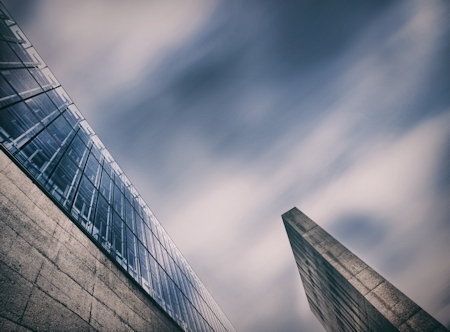 The "Instaworldruhr" project is an event organized by Pixelprojekt Ruhrgebiet. 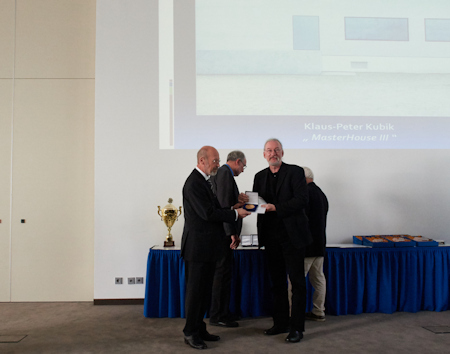 The images below show KPK receiving his Gold Medal from Wolfgang Rau, the president of the German Photographic Organisation (Deutscher Verband für Fotografie - DVF) at the award ceremony in Bremerhaven on October 1st and KPK beside his awarded image in the related exhibition. Click HERE to access some more official images of the event. Some days ago KPK broke through the 50,000 followers border on 500px. I'm really glad and impressed to see the numbers continuously increasing. Thanks to all who follow my work, thanks also to the 500px team for their support. Click HERE to access my 500px account. 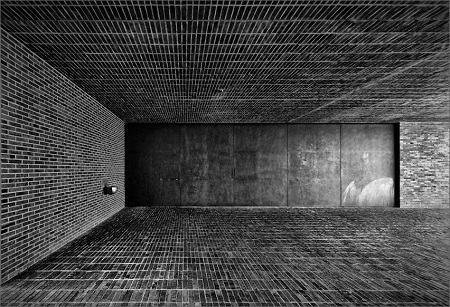 KPK's image MasterHouse XXIX achieved a Honorable Mention (Certificate / Urkunde) at the Landesfotoschau 2016 competition. Click HERE to access the official announcement. KPK achieved a TOP 10 ranking (place 8) with his images at the 84th German Photo Championship 2016. 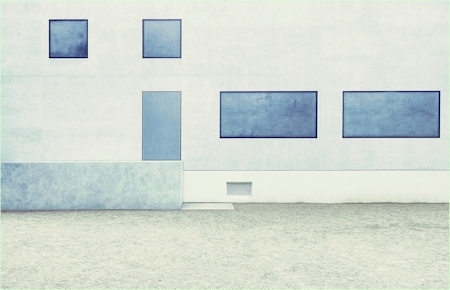 One of his images 'MasterHouse III' was awarded with a medal. 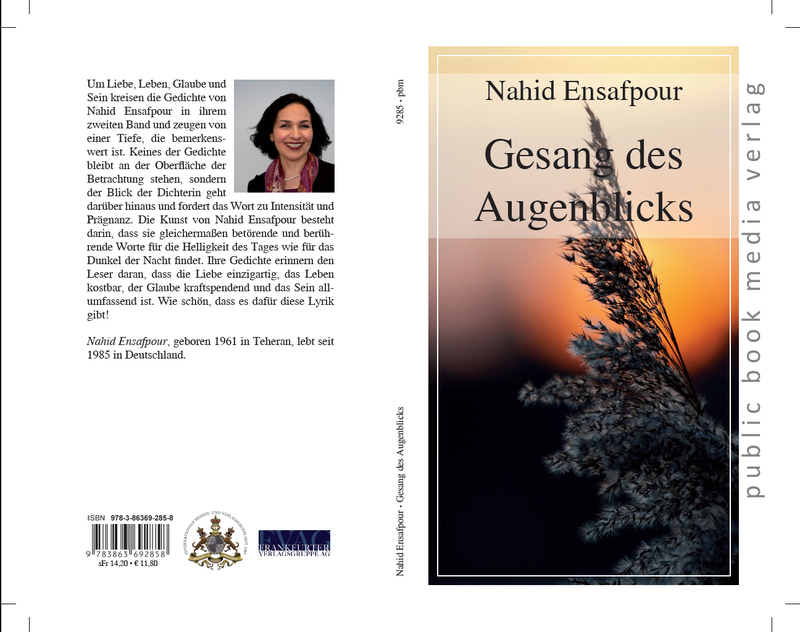 Today the new book of poetry called 'Gesang des Augenblicks' by Nahid Ensafpour is released and available in bookstores or via Amazon (ISBN 978-3-86369-285-8). It's a wonderful book with poems full of depth, wisdom, and love. Thanks to Nahid Ensafpour and Frankfurter Verlagsgruppe for selecting one of my images for the book cover illustration as well as the portrait photo. Today KPK broke through the 10,000 followers border on 500px. That's a quite impressive achievement for a non-professional photographer. Thanks to all who follow my work, thanks also to the 500px team for their support. Click HERE to access my 500px account. You can follow my work on Instagram now. Click HERE to access my Instagram account or use the 'Follow Me' button on the right in the bottom line of the menu bar. 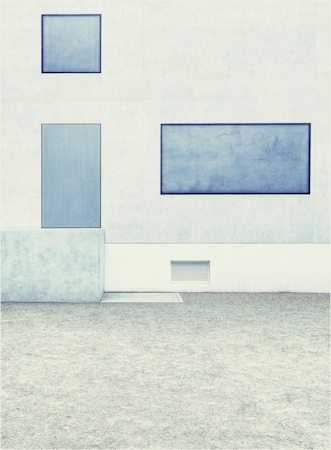 The new featured series 'Bauhaus - The New Masters' Houses' is opened now here at KPK Photography. Just click on the message title or the image below to access the gallery. Enjoy the visit! Next month the new featured series 'Bauhaus - The New Masters' Houses' will be published in a new gallery here at KPK Photography. 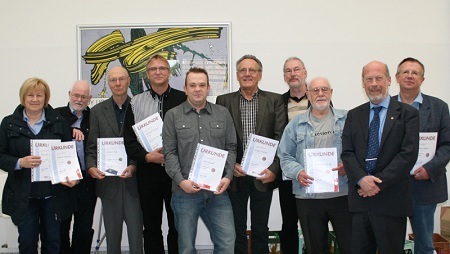 The gallery will show images of the new Masters' Houses in Dessau, Germany. Interior as well as exterior photographs will be presented. An example image can be seen below. Today KPK's website shows up in a completely new design. You will find a new menu structure as well as a modern lightbox presentation of the images. 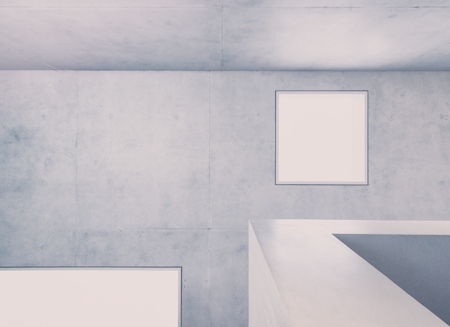 The site design is responsive, so it should look good on every screen resolution. Some of the galleries are still under maintenance or have to be filled with updated content but they will reopen during the next days step by step. All the galleries are accessible as well as all available functionalities are working now. Enjoy your visit and feel free to give feedback or report bugs using the contact page, via email, or use the message function on my facebook page (see "follow me" buttons at the bottom of the menu section). 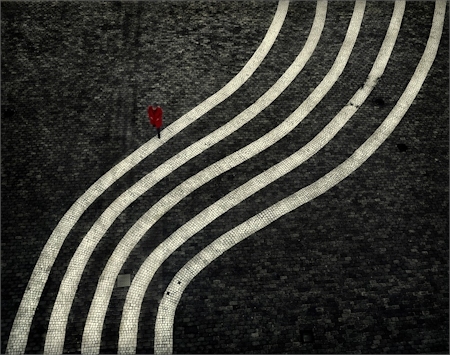 KPK's image "Paths" seems to be liked by photo competition juries and reached again place 2 in a photo contest. 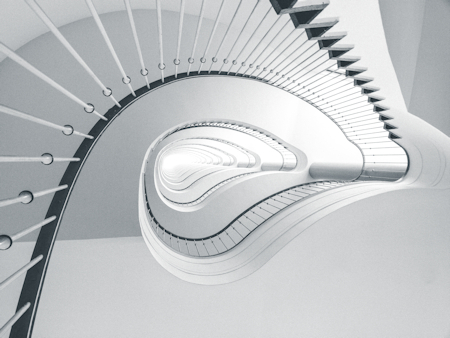 Click HERE to go to the winners announcement page of HEISE Foto online. KPK's image "BlueView II" received a PSA Honorable Mention at the "15th International DVF Digital Imaging Competition 2015". 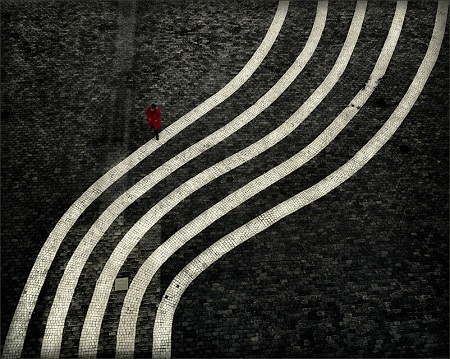 KPK's image "Paths" which already received a number of awards, now made place 2 at Fotocommunity.de's "Streetphotography" contest. 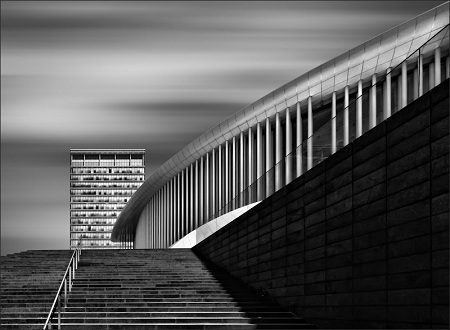 Click HERE to go to the contest page of Fotocommunity.de to view the winner images. The next publication in a row of approximately 100 in different media like books, journals, magazines, calendars, e-paper, catalogues during the last decade will be in the upcoming issue of PENTAPRISM magazine. Some of my images will be shown as well as a brief portrait. Besides 15 acceptances KPK achieved a FIAP Honorable Mention at the a.m. competition, where more than 11,000 entries were submitted. 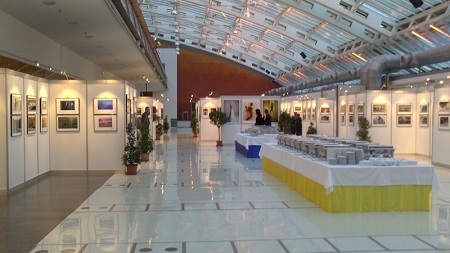 The awarded images will be displayed in a separate gallery after the awarding ceremony in February. 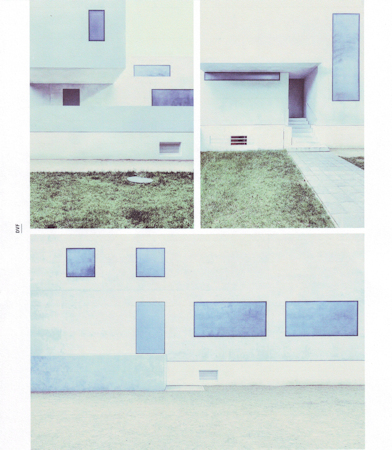 A new publication in CAMERAPIXO's HOT SHOTS "WE INSPIRE Vol. 4" The publication is viewable online, my image can be found on page 38. PHOTOCIRCLE is a project, where you can sell your images as prints or simply upload your images to get printed. 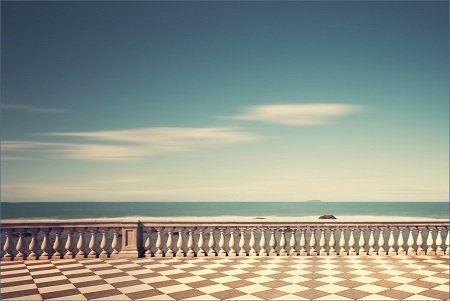 The difference to other print shops is the fact, that with buying an image at PHOTOCIRCLE you support a social project. Visit the PHOTOCIRCLE website to read more about this project. 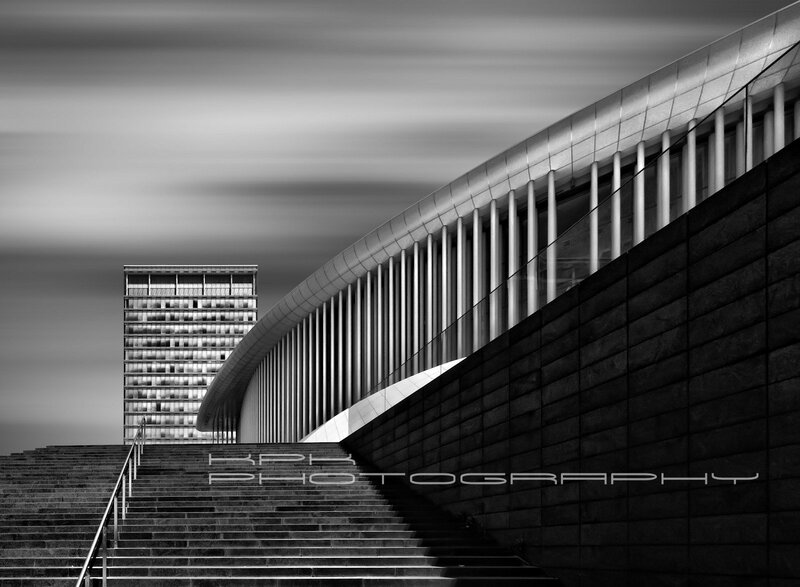 Click on the following link to access one of my available images: KPK's 'City in Motion' at PHOTOCIRCLE. 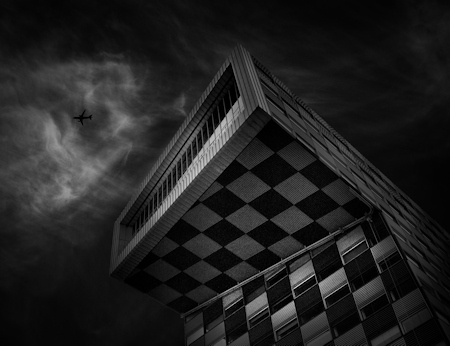 My image "DarkPlane" received a Medal award at the 82nd German Photo Championship, Bundesfotoschau (BUFO) 2014. Two further images received a gallery acceptance so that I'm among the most successful image authors of this competition. Now available, the new issue of STARK-magazine with one of my images included. The photo below is printed on a double page. From 22 May 2014 until 30 June 2014 you can visit an online exhibition with selected works at Christophe Mely's Lux Optima Exhibition Hall. Besides a number of my architecture works which are presented in a high resolution slideshow you can read a bit more about me and my work in an interview. Special thanks to Christophe for all his efforts which led to this fine presentation! Last weekend I met our co-guide in Berlin and we discussed some more basic points for the tours on Saturday and Sunday. You will receive handouts with extracts of the city map with tours and meeting points sketched in when we met for the first time on Saturday morning. For all who are interested in an early evening meeting for dinner on Saturday in a nice Indian restaurant please send an email to kpk ( at ) kpk-photography.de or a message using the contact form of this website so that I can book the location for a given number of participants early enough (I will repeat this request again during the summer but final reservation should be done not later than end of August). Will be arranged close before the meeting. I also had the opportunity to visit the historic wind channel last weekend and could talk with some of the members of staff there. Please note that inside the wind channel we will have only limited light sources. A tripod could be very helpful. Of course you also can use a camera flash light. Start of the new series "A VintAge View"
Today I'm proud to release my new series "A VintAge View". In this series you will find images with special color tonings meanwhile seen very often in different media like movies, photographs or other art works. The color tonings show a range from different typical socalled vintage color tonings as well as colors known from instagram filters or special color combinations like cross processing and others. You will find some of my already published images shown in these new colors as well as some new and so far unpublished works. The series belongs to the ongoing ones, so that you can expect more images in the course of time. Next month there will be an informal meeting with my co-guide in Berlin. I'll post any relavant information here in this thread. Today I was asked what is planned in the case of a cancellation of the meeting. Since this is a private invitation/event, there is no claim for any compensation. All your preparations for the visit in Berlin (e.g. journey, accomodation, etc.) are done at your own risk. Nevertheless, in the event of the really unlikely case of a cancellation, you will be provided with all the information material prepared up to this timepoint (tour plan, city map, public transportation system information, reservations for special events etc. ), so that it's up to you to perform the meeting anyway. But don't worry, I'm convinced we will see us in October in Berlin! Now available, the new issue of PHOTOGRAPHIE magazine with a story and two of my photos on pages 70 / 71. The photos below are printed in half page size. Some quick info in between:br> The presumable meeting point on Saturday will be inside the Sony Centre near Potsdamer Platz. From there it's not far to walk to a lot of exciting places.br> More info during the next months. Stay tuned. The limit for the maximum number of participants for the wind channel visit is reached! I'm sorry, but more participants cannot be accepted. Thanks again for your interest and for sending your confirmations so quickly. I'll keep you informed about any Berlin meeting news. The wind channel visit is confirmed for the afternoon of October 11th. Exact time and meeting point for the common drive to the location will submitted to all participants via FB message and email. The maximum number of participants is limited to 25 persons. Some places are still available. Please write an email to kpk ( at ) kpk-photography or use the contact form here at this website if you want to participate. Closing date for submitting your participation wish is end of May / beginning of June. It seems as if the "Historischer Windkanal Adlershof" (historic wind channel Adlershof) found the interest of the majority. I've contacted the responsible contact person for this location (which is a part of the Campus Humboldt University of Berlin) and received the permission to visit the wind channel on Saturday 11th October 2014. Exact time has to be arranged (but I suggested early afternoon). We will have at least one hour for the visit. I've also asked regarding permission to take photos and it's ok for "private purposes" (no commercial use of the images). Every participant has to pay a fee of 5.00 Euro. So I ask everybody who wants to join the wind channel visit to agree to pay the fee. Please write me a email with your confirmation (to kpk ( at ) kpk-photography.de or use the contact form of this website ) as soon as possible because the location owner likes to have the number of participants. If you agree with the above written and I received your confirmation regarding participation and fee, I'll give the info to the location owner and they will submitt a contract to me. Please try to send your confirmation as soon as possible. Today I received the confirmation of a good friend of mine who is a native-born "Berliner" to act as our street guide during the meeting weekend. This ensures to expect a most interesting and fruitful meeting for all participants. Besides our normal architecture and street tours I'll try to organize one additional SPECIAL guided sightseeing for interested participants. Please write down your preference as a comment in the FACEBOOK EVENT THREAD The location with the most votes will be choosen and I'll contact the reponsible persons for organizing a tour. 1. Historischer Windkanal Adlershof (historic wind channel Adklershof). A HUGE wind channel, built in 1932-34 and often used in movies as scenery. Some images: http://www.kubische-panoramen.de/index.php?id_id=2616 No information about costs, I'll ask for it. (NSA) Field Station Berlin-Teufelsberg: http://www.berliner-teufelsberg.com/englisch.htm Costs: 7 Euro per person for a one hour tour. Also a location also used for movie scenes (like in the Aeon Flux movie). No information about costs, I'll ask for it. Another member of our distinguished jury for the Athens Hitech Contest today. We're getting closer to the deadline and I'm very excited about it. I've already gathered part of the submissions for the contest and waiting for more, but you'll have to be patient as I'll keep them secret till the Big Day. 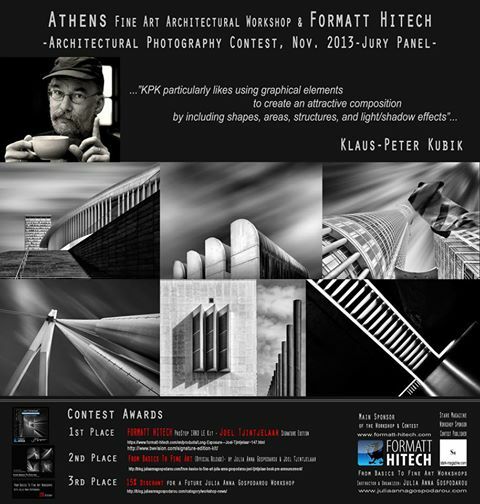 Thanks again to our main sponsor Formatt Hitech (I hope you checked out their Cyber Monday offer for the JT ProStop IRND filter kit - our 1st prize) and to Rod Clark the VP of marketing at Hitech for taking part in the organization of the FIRST contest of architectural photography ever organized at a workshop in Greece (yes, I think I can claim my place in the Guinness Book for quite a few photography 'firsts' these past years : ) a contest that has as goal to make everyone fall in love with B&W architectural photography as I did many years ago. Our sponsor Stark-Magazine is very kind and will publish the winning images in the magazine and I really can't wait to see which images these will be. 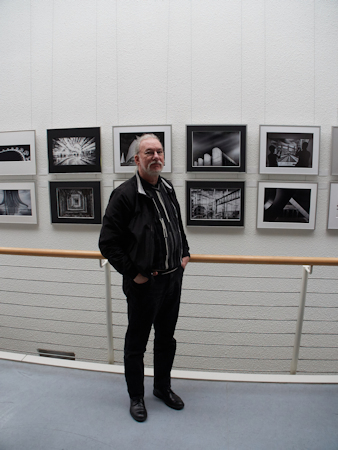 So, today I give you Klaus-Peter Kubik, not only a great and very prolific German architectural photographer but one of the best persons I know, from all points of view. Peter is too modest in his bio here, but you have to know he has won countless distinctions in just as many photography contests over a period of many years. He's doing this job from about the time I was getting ready to be born and he is still full of enthusiasm and inspiration. Which can only make me say: "Hats off to you, Peter! You're great!!" And now, let's give the word to KPK, as he calls himself, and read a few more things in his bio. - with Klaus-Peter Kubik in Athens, Greece. On Friday October 10th a first informal meeting for all the "early birds" should be possible. Tour days are Saturday 11th and Sunday 12th. If some special requirements can only be fulfilled on a normal working day, forenoon of Monday 13th could be used for that. If possible to check it at the moment, there will be no big fair or another major event this weekend, so booking hotels should be possible at "normal" prices. After announcing the idea to organize a photographers meeting in Berlin next year, about two dozen persons showed their interest to attend. If you like to be added to the list of interested people, feel free to drop me a line using the contact form of this website or by writing on my Facebook Events page. The Berlin meeting is planned for October 2014. If I can find a second guide (for a street photography group) we will be two groups (architecture and street) exploring the city. We also will have other common activities like visiting special locations, having lunch / dinner together, and more. More exact details will be prepared in spring / summer 2014 and announced here and on my Facebook Events page. 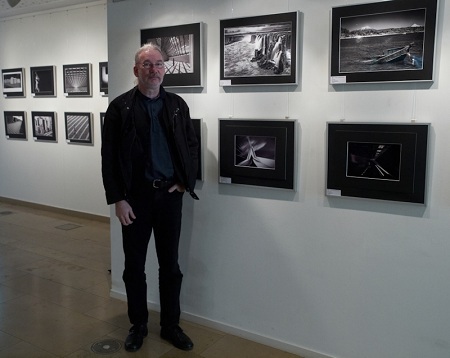 KPK besides two of his images presented in the group exhibition of the "Landesfotoschau Rheinland 2013" competition in Duisburg-Rheinhausen, Germany. 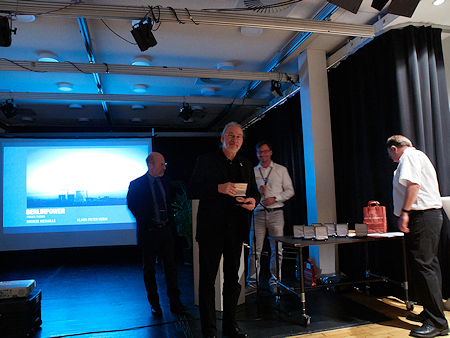 On October 12th, 2013 KPK was be awarded with the RETINA bronze award of the DVF (German Photographic Society). 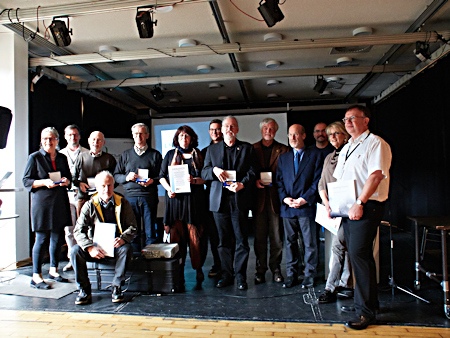 The award ceremony took place in the framework of the award ceremony and exhibition opening of the "13th Emscherbruchpokal" competition, a black & white photo competition where one of KPK's images can be viewed in the exhibition (see bottom of this blog entry). 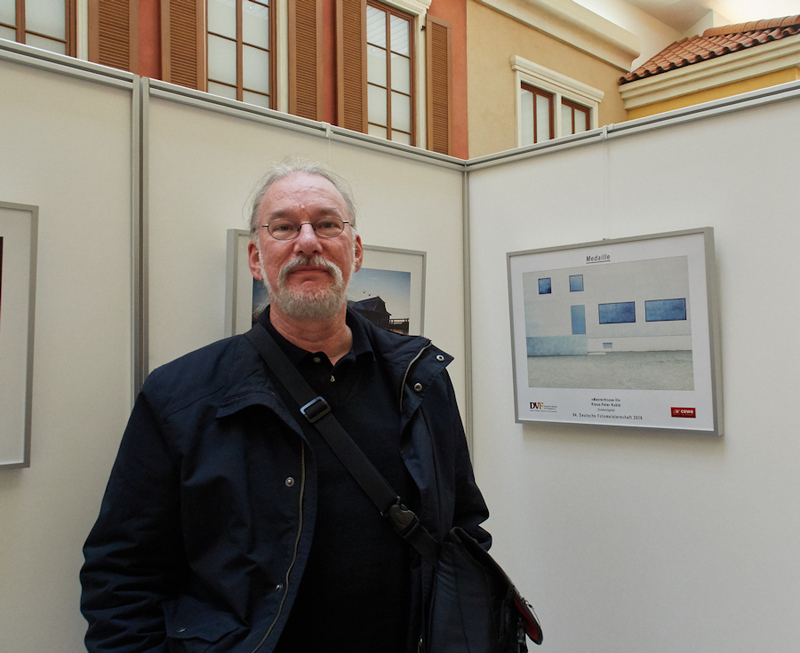 - Acceptance in the "81st German Photo Championship 2013"
- Three acceptances in the "German International DVF-Photo Cup 2013"
- Three acceptances in the "1st Bavarian International Circuit 2013"
Last monday KPK received two gold medals at an gala event of an international photo competition. 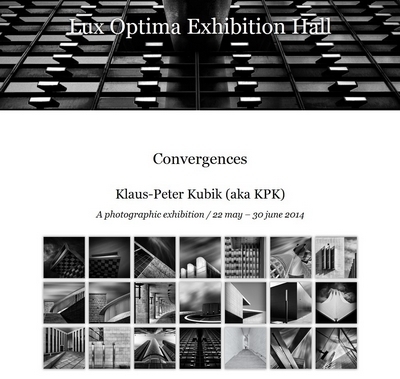 KPK received a FIAP Gold medal for "Paths II" and another Gold medal in the section "Digital Images Experimental". KPK's winning images can be seen below. In the times before the Berlin Wall was torn down you could discover weird szenes in this opressed city. The following image was taken sometime in the eighties in the Kreuzberg district of Berlin. 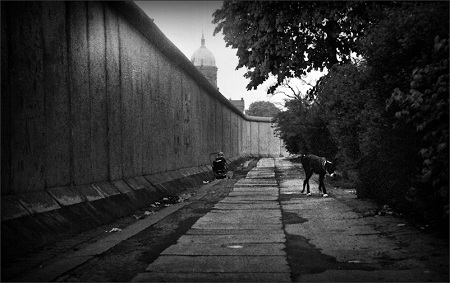 Not only the wall but also the lonesome child with its baby buggy and the big dog made this an exceptional moment. It's a scan from a small print, converted to b/w. An interview in German language with KPK is just published at Stern-VIEW. You can access it by clicking on the photo below, then go to page 09 to see the interview with KPK. During my nearly 25 years long stay in Berlin from 1977 to 2001 I made some photographs with a analogue Nikon SLR. The image below is a scan from an old print. 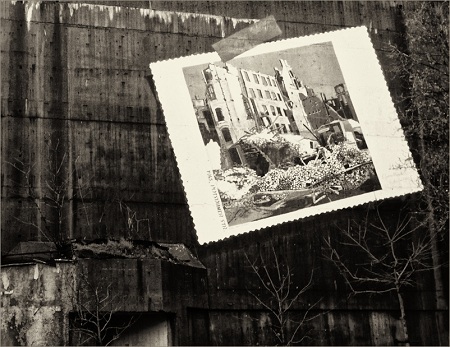 It's a kind of a memorial and shows the facade of an old bunker painted with a some square meter big image of ruins in the Potsdamer street in Berlin in 1945. I took the image somehow in the middle eighties last century.